Some media outlets are reporting DJ Cipha Sounds was fired from radio station Hot 97, and some outlets are reporting he left the radio station. No matter if he was fired or he quit, DJ Cipha Sounds no longer works at Hot 97. On Tuesday afternoon, the radio station released the following statement, “Effective immediately, Cipha Sounds is no longer with WQHT. We wish him well on his future endeavors.” After seventeen years, Cipha’s long reign at the radio station has come to an abrupt end. A few days ago, Cipha criticized management for the way they handled removing him as an interim afternoon host. During a podcast, the DJ told Juan Epstein that he was blindsided by the removal. Cipha said he hoped he would have been considered for the permanent hosting position. Cipha Sounds also mentioned there was a lot of confusion surrounding the afternoon hosting job, “One boss told me one thing, another boss told me another thing, they then fired one of those bosses. All nice people, but all different opinions on what the show should be and how it should run.” Cipha said that he doesn’t have an issue with Nessa, “I told her, ‘you’re a dope choice. '” The DJ reiterated his only issue is with management and how they handled the situation. “They’ve wanted her for a long time. They have a hard-on for her. So then why didn’t you tell me?” Later during the podcast, Cipha explained that he was doubtful about his future with Hot 97. DJ Cipha Sounds’ doubts were answered on yesterday afternoon. 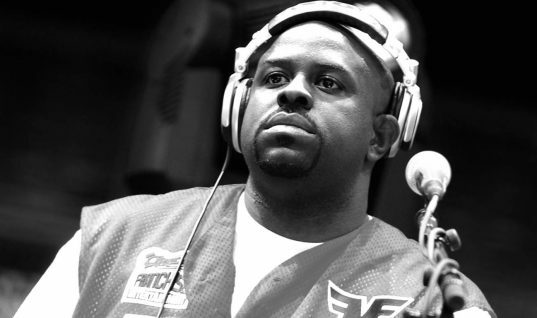 Whether or not the job offer at Power 105 still stands for the DJ, is unknown for now.